Have you read Donald Murray? In my career, I had read a lot about Donald Murray. Tons that was inspired by Donald Murray. Oodles that has flowed out of the legacy of Donald Murray, but I’m ashamed to say that until the last month, I had never read the man himself. Until Penny Kittle told me to. And, as you all know by now, I will do anything Penny Kittle says. Once I started, I couldn’t stop. I’ve read three books in about four weeks. My mind is blown. I am bathing in his words — words that are as fresh and startling today as they were 45 years ago when he first advocated for a better way to teach writing. Make yourself a New Year’s teaching resolution — go to the source. Read Donald Murray. While this is something I have known and felt as a writer, it isn’t something I have ever offered to my students. At least not in so many words. And what encouragement this might be for them! How many of my students would be able to dive into the deep end of their thinking if they believed that they didn’t need to know what they wanted to say first? If they felt free to “explore the constellations and galaxies which lie unseen within [them] waiting to be mapped with [their] own words”? So how do we bring this down to the ground of our classrooms? How can we help our students understand that writing is discovery in a way that changes their writing? Here are four possibilities. Weave discovery into the everyday language of the classroom. Rather than giving a grand speech about the nature of writing, we can begin simply, using the language of discovery and exploration in our daily classroom routines. The idea that we are explorers through our thinking and our writing is subtly infusing itself into every aspect of our classroom life. Use the idea of discovery to launch a writing conference. I love this conference starter because it drives my students to give more fully realized responses (particularly those who are prone to give one word responses like, “Fine”). It also prompts the writer to consider what is new to them in their writing — new techniques, new ideas, new revelations about their personal writing process, new approaches to writing. And these “discovery conferences” can also bring to light the places where a writer is struggling. “I am discovering that finding evidence to support my claim is really hard,” one student recently told me. Suddenly, I knew that we needed to go back, review the lesson, and then ensure that he was working on a topic on which he could be successful. When students offer a deeper, more thorough response, we always have a more effective conference. Framing our conversation in terms of discoveries helps us get there. Have students respond to Discovery Checkpoints throughout the writing process. Allison and I use brief, written checkpoints throughout the writing process as another way to take our students’ writing temperature — to find out what’s working and what’s not, to see where students need help or clarification, and to confer with every writer in the room simultaneously. What have you discovered about your topic so far? What strengths are you discovering in this piece of writing? What are you discovering about the challenges of this piece of writing? From here, you can use this information to clarify previous writing lessons, add new lessons to the docket, group students with similar struggles for small group instruction, and prioritize students who need a full writing conference right away. Ask students to reflect on their discoveries at the end of a writing study. After writing a commentary, what did you discover that you didn’t know before? After writing a commentary, what skill or skills did you discover that you could not do before? Before writing this, I was thinking that I was going to have to just keep repeating myself to make it look long enough because I wouldn’t have enough information. Boy, was I wrong! Once I researched a ton, I found that I CAN write a paper without just repeating myself, and that I am able to keep fresh ideas flowing. I discovered that I could write a paper where I have more information in it. Also, I discovered if I put facts in my paper it will make my paper better because it is backing up my opinion. I discovered that I could write long and lengthy sentences without them being run on sentences. [I discovered] that people’s opinions actually do matter and need to be heard to make a difference in the world. I learned how to break up a run-on sentence to make it more appealing to the reader. One thing I discovered while writing my commentary is that the way you word and structure your sentences really matters. I noticed when editing mine that if I changed certain sentences, my point became more clear. In this type of writing I learned that wording and structure make you seem much more convincing. I’m not sure if this comes directly from the commentary, but I also learned that reading sentences out loud helps to prevent run-ons from Mrs.O’Dell. After writing the commentary I discovered that I could add digital evidence into my piece like links and pictures. It was something new for me, but I really liked it and I thought it made my writing more in depth. You can probably tell from their responses that these students are all at very different points in their growth as writers. However, their responses also reveal that every writer — the strongest, the weakest alike — have made discoveries through the process of committing their ideas to paper. Their writing reflections made this transparent to both the student and me. Some of these (like run-on sentences) were discoveries born out of many lessons, but most of them weren’t! By bringing exploration and discovery to the forefront of our writing classrooms, we nudge our students toward the discovery of their own ideas as well as the techniques of great writing. But, more importantly, we nudge them toward the discovery of who they are entirely. And what more important discovery could there be? How do you use the ideas of exploration and discovery in your writing classroom? How might these ideas play out with your students? Leave us a comment below, find us on Facebook, or connect with us on Twitter (@rebekahodell1 and @allisonmarchett). Previous PostWhat Do You Do in the Last Days of a Writing Study? 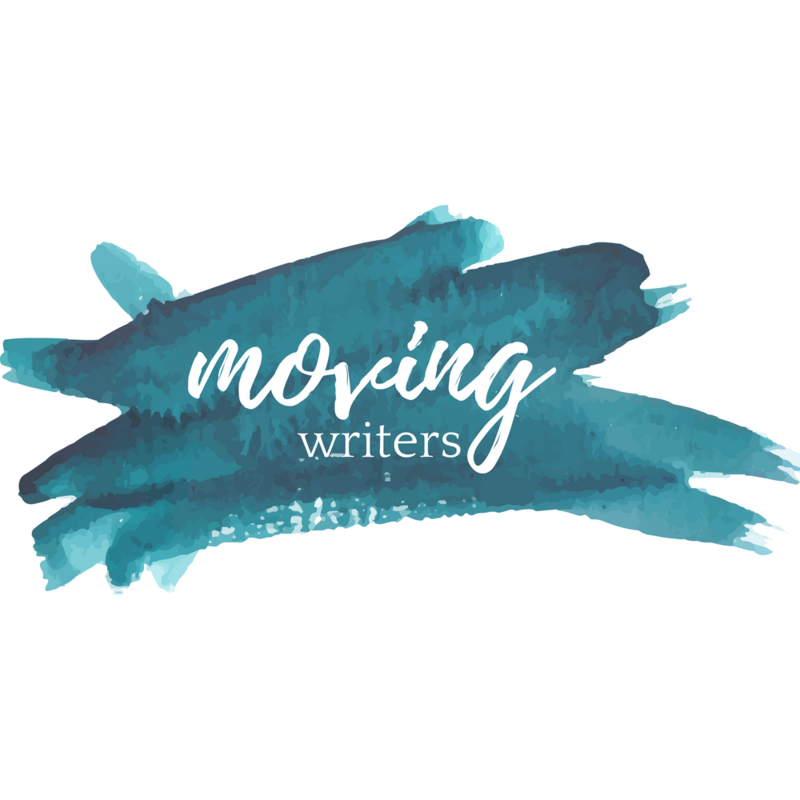 Next PostHappy New Year from Moving Writers! Love Donald Murray. Now go read everything by Donald Graves. These are the true pioneers of writing instruction and we need to read all of their work and hold them high on a pedestal. We stand on their shoulders. Thank you for sharing your enthusiasm! This is a great post. Perfect time to begin a new year. What book of his would your recommend one start with? Thank you! I started with LEARNING BY TEACHING. It’s a collection of essays, so you get a great range of ideas and broad taste of his voice. It’s also the one Penny Kittle recommended to me when I asked her where I should start.